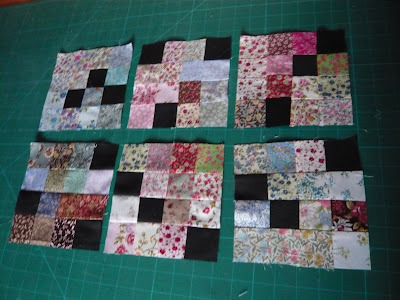 Here are Annette’s six 16-patch blocks. I love the pretty florals. And four more blocks from Wanda, for a total of 8 blocks from her this month . . .